There are times in life when you have to dig deep into your budget and make a large purchase. Perhaps you’re in need of a new car (or at least a newer used car); maybe you need to invest in a TV upgrade; or you’ve finally decided it’s time to add a new extension to your home. These investments are always budget-straining, and if you generally consider yourself to be rather frugal and thrifty, it can feel odd to spend so much on a single purchase. People like to debate whether insurance is a good idea, but when it comes to big purchases, insurance is always a good idea. 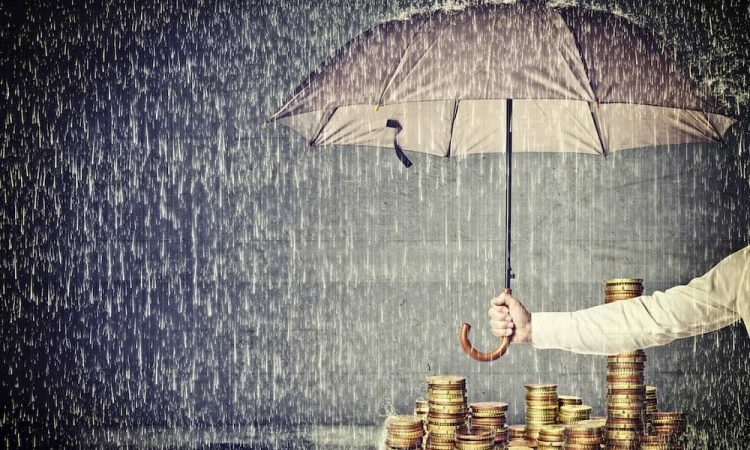 If you have handed over a large amount of money, then the last thing you want is to suddenly find yourself without the money and without the item, because it’s damaged and you don’t have the funds to fix it. If you’re buying a large appliance, insurance is a decent decision, provided it offers an enhancement on what’s offered with the standard new-purchase warranty. For example, accidental damage will usually not be covered by a warranty, but it would by insurance. Car insurance is largely considered to be an essential. As thebalance.com shows, even in states where car insurance is not mandatory, you are still liable for damages in the event of an accident. So whether it’s a requirement or not, buying insurance for your new vehicle is always going to be a good idea. It’s difficult to insure new work on your house specifically, but do make sure that any extension is covered by your home insurance as soon as the construction is complete. When you buy an item, a warranty will usually be included or you will have the option to purchase one. Warranties can be genuinely beneficial, but you have to learn to scrutinize the fine print to ensure that you’re covered for what you think you’re covered for. As discussed in point one, the warranty for a large appliance is unlikely to cover accidental damage, so you’ll need insurance if you want to be covered against this risk. However, warranties for appliances are still genuinely beneficial, especially for basic malfunctions, so make sure you keep the documents handy and diarize the date when the warranty expires. When you buy a new car you will usually receive a warranty as standard, but you may want to enhance this if given the opportunity— cars have a lot of moving parts, so protection against a variety of failures is always going to be beneficial. If you’re buying a used car then you may think that you won’t have the option of a warranty but, as the details on www.carchex.com/content/used-car-warranty-companies, this isn’t actually the case, so you can still protect your investment even if you are buying a secondhand car. Claiming on a warranty is usually cheaper than claiming on insurance, so car warranties are definitely a good step when trying to protect your investment. Any work that is carried out on your home should be completed by a company who offers a warranty on the work, and you should receive this warranty in writing. Sometimes the warranty may be called a “guarantee”; these terms are often used interchangeably, but you still need to carefully scrutinize the fine print to ensure you’re comfortable with what is being provided. If the company doesn’t provide a warranty or guarantee on their work, it’s worth being suspicious and asking why this is. If you don’t feel comfortable with the response, choose another company who are confident enough in their workmanship to offer coverage when the work is completed. There’s no need to break this one down, as it’s a simple rule of thumb for any big purchase. Paying with a credit card affords you certain protections that other payment methods are unable to match, so choose this option whenever possible when making big purchases. You can then pay the money off as quickly as you can, of course; this is a touch more inconvenient than just paying direct, but it’s worth it for the enhanced protection of your purchase. Follow the steps above and you should be able to protect all of your big-ticket purchases in the future, helping to ensure that you always get the best bang for your buck. Good article. I have had a few warranties for household appliances, and they were great when things went wrong. However, my partner was recently advised to skip a guarantee with a local retailer due to its fine print revealing it was of little practical use. I second this Lizzie. I take an extended warranty on my Dyson products because they are reasonable when it comes to repairing through the warranty. However, I won’t touch many of what the local stores offer me. You both make excellent points, and this is essential for ALL warranties. They can be highly beneficial but only if you weigh up the total costs and of course, make sure you read that fine print! I will insure myself for everything but steer clear of warranties. Good point Thomas. It is worth looking at whether you are covered by various insurance policies before considering a warranty on any product.